FIND A MORE UPDATED VERSION OF THIS POST right here! 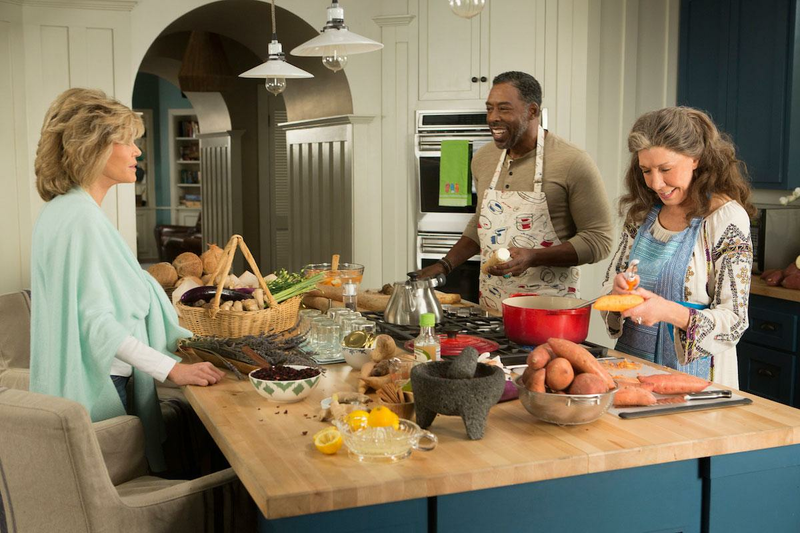 I’m crazy about the beach house in Grace and Frankie! Come explore the decor, paint colors, and furniture finds inspired by the set! Pin this post to save it for future reference. Let’s dive into the pretend Grace and Frankie’s La Jolla beach house set and steal some of its furniture and decor ideas! Source: Traditional Home. Set Design: Devorah Herbert. A more complete resource buying guide is here. Do you love that beachy rope chair with the round back? Me too. 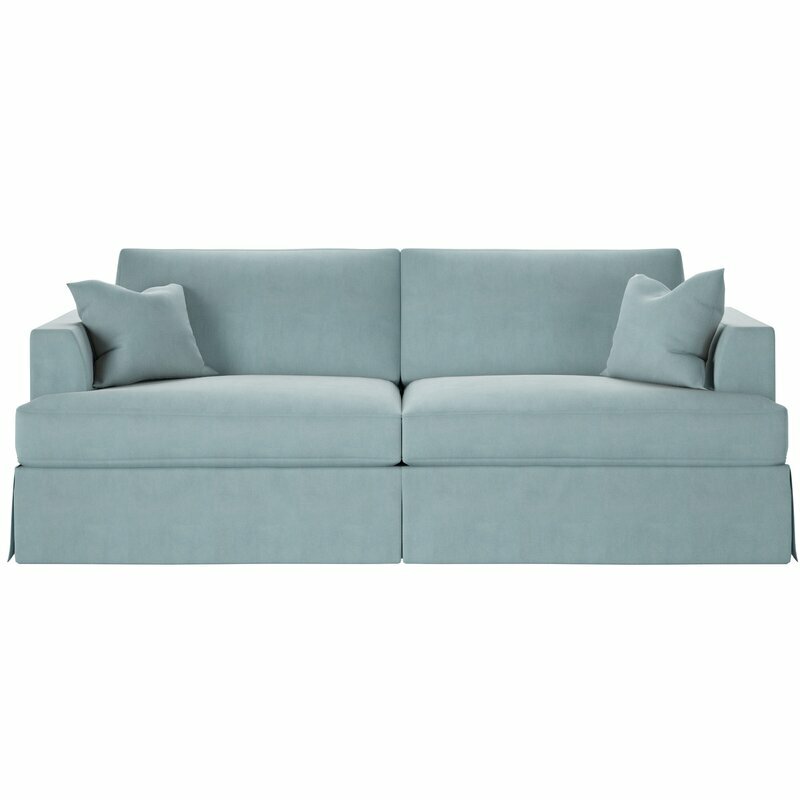 And here’s a pretty blue sofa (a sleeper) that might be right at home in your beach house or beachy style space. 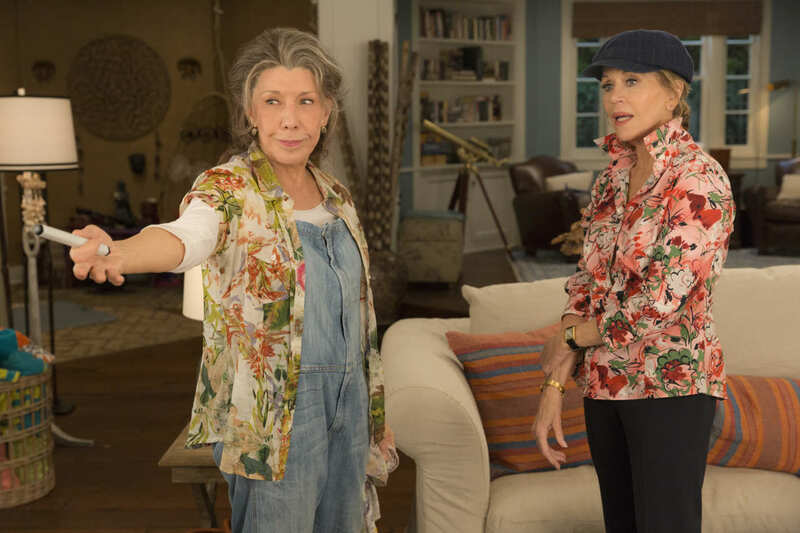 The beach house in the netflix series Grace and Frankie starring Jane Fonda and Lily Tomlin has a lot of folks swooning, including my sister, who encouraged me to watch it for the house and for Jane Fonda’s wardrobe. There are all these beachy home decor ideas we can steal! I don’t watch a lot of TV beyond Real Housewives (hearing the bickering, nonsensical drama, and wine-fueled dialogue somehow relaxes me yet makes my husband and sons want to hurl themselves out of the nearest window) so I rely on friends and family to keep me apprised of what’s popular and trending on the tube. Have you seen Grace and Frankie? Similar Club Chair in living room: FIND HERE. Today, Brooke Giannetti commented on IG that she was watching the series and it felt surreal since Steve designed the house inspiring this beach house! So that seals it. 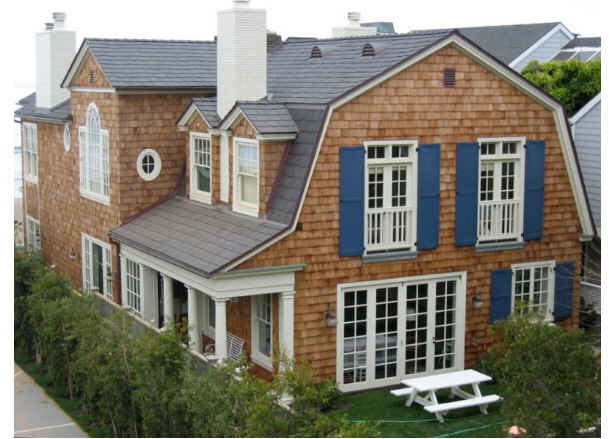 Now that I know the Grace and Frankie beach house and set interiors were inspired by the Broad Beach home Giannetti Home designed, I have to binge watch it! 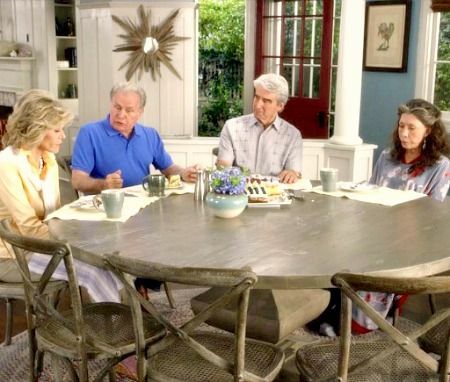 Have a look at some stills from Grace and Frankie, suggestions for exact or similar furniture and home decor, as well as some gifs I found of some hilarious scenes…and stay tuned for my next post where I show you the original beach house by Giannetti Home that inspired this one on the show. Here we see the open concept floorplan, plantation shutters, and nautical style pendant lights above the island. The bookshelf with arched detail is a cute recessed detail in the island. Kubu Armchair, above: FIND HERE. My sister told me she loves the green and white dishes (they’re discontinued Lenox Aerin, Emerald Mist pattern), and here we see them on the white open wood shelves. I love the vintage style pendant light above the sink. 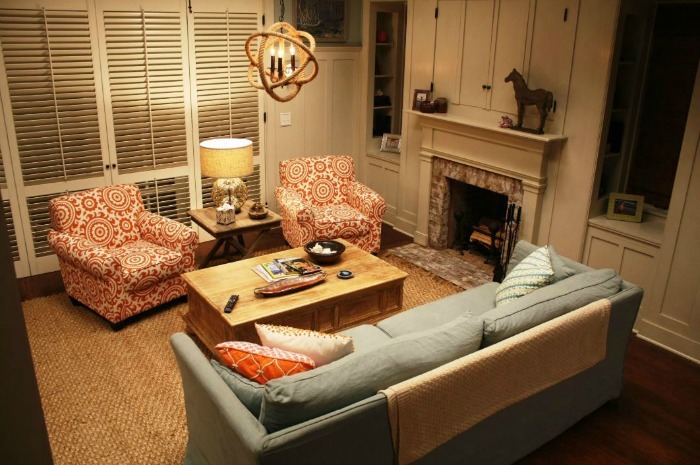 A simple, casual, coastal style space anchored with a jute or seagrass rug and with blue and orange. Seeing these stills reminds me of how Jane Fonda still has the best hair, doesn’t she? I watched every season and episode of Newsrooma few years back and was knocked out by the incredible shape she remains in and that hair! My sister said one of her favorite scenes in Grace and Frankie is where Jane Fonda’s character catches a glimpse of her upper arm in the mirror,and it was a TV moment powerful enough to get written up in the NY Times right here. It resonates with a lot of us! For a more thorough resource guide and updated post on the beach house, visit this story! I was at the gate with this show waiting for it excited to see all the talk long before anyone was chattering about it, all three seasons my daughter and I have watched, the first two are so real in how life takes these strange unexpected turns of events. The writers are genius and the combination of stable and exsentric with Grace (Jane Fonda) and Frankie (LilyTomlin) the humor from this cast is entertaining to say the least. The 2 seasons take you through a life journey questioning what the heck went wrong…pot smoking Frankie muddles through her loss and left over free spirited artist new age days. Grace is the reasoning and sounding board of running the show…. Season 3 gets even more loose and graphic, if you thought season 1 and 2 crossed some boundaries wait for season 3…. Funny yes indeed and your sister was so right about watching the home and clothing style of Grace. Frankie is spotted wearing Robins designs from her Magnolia Pearl clothing line. 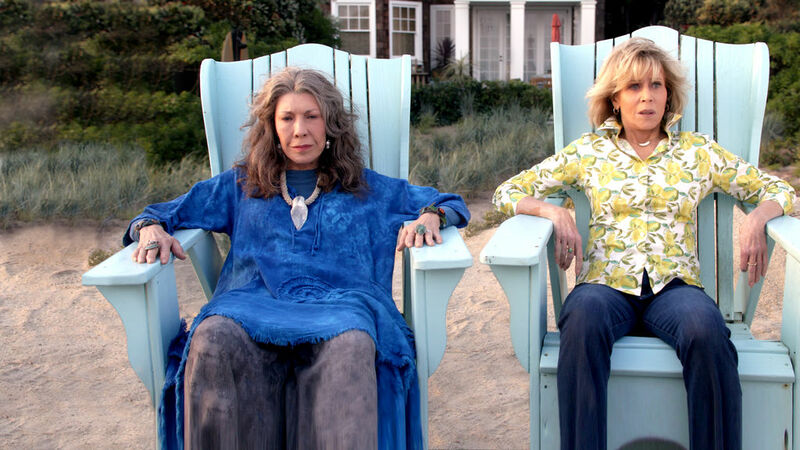 As for grace and Frankie's beach house…wait until you see the home their gay ex's buy in season 3… I was going crazy over so many features in their home and I so was wishing it were my home. Yes, I could make my home decor fit right in anchoring it with some kilim rugs and some great French wall hangings. I know your style and taste and their home won't disappoint you. I rarely watch TV. Not even housewives…I am hooked on Nashville and love the homes in that show as well. Well my dear enjoy catching up…and will love to hear what you think of the ex's new home. I am rewatching the series, for the dialog and the home! Just FYI their home is set in La Jolla, not Malibu. 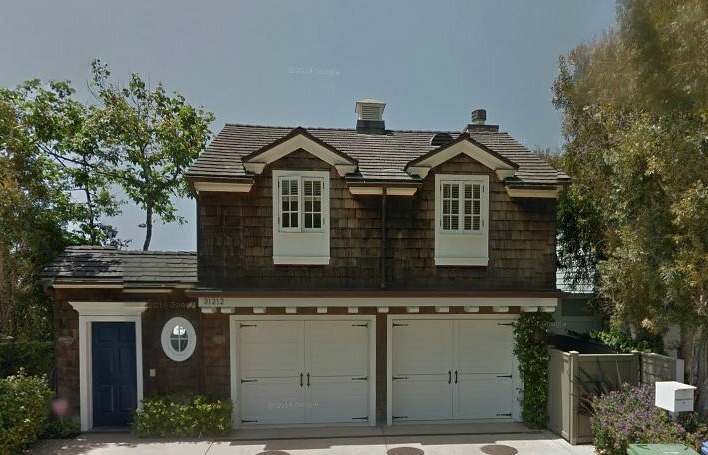 I believe the actual home ny Gianetti is in Malibu but they are not in the show. If you are unfamiliar with California Malibu and La Jolla are no where close to each other. No biggie but I thought I'd clear that up for you. Love this show and wish they would tape more episodes. I keep watching for an announcement of a continuation. I am just like your sister, love the house and the way Jane Fonda dresses, she has some great tops!!! yes, but why the collars up? "Jane shirts"! We binge watch the show when she visits which will be next month. I can hardly wait! My name is Kevin , my wife Rhonda loves the Grace & Frankie TV Show, My Wife loves Anarondak Chairs, always has, but when Rhonda saw the 2 blue chairs outside, overlooking the beach, which Grace & Frankie sat in looking at the beach, which was the last shot of the second series, when they rode the golf cart back to their house , Rhonda has searched and searched for the name of those chairs to no avail, you are my last hope of trying to find out this information for Rhonda so as l can buy one for her ? I’d like to know where I can purchase the linen shades. Awesome!! I would love to know the paint company and color name of the blue in the dining area – it is the darker blue color than the four. Hope someone knows this I have looked everywhere. I would love to know where the kitchen table and chairs came from. I have Googled that table a million times! I would like to know what the amazing coral color is on their door! Any idea? The show is amazing—where can You find the beautiful, colorful blankets draped on all the sofa and chairs? 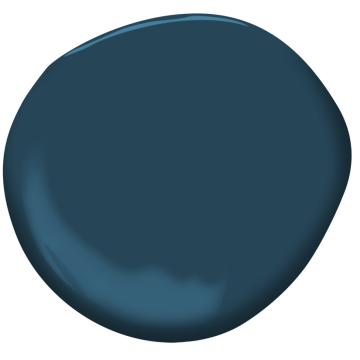 While I still haven’t heard from the set designer, I did do some research – scrutinizing screenshots from the show and exploring medium blue paint colors. 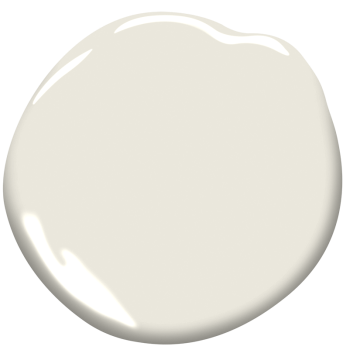 I came up with paint color possibilities which may appeal and added them to the post – do check them out and see what you think. Because of lighting differences and photography online, the blue walls look different depending on the image. 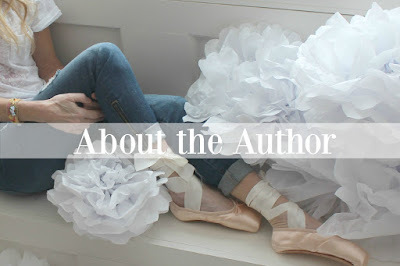 So I concentrated on the blue sofa – sort of a chambray or faded denim look. 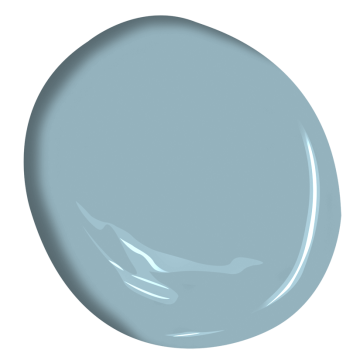 My favorite paint color of the options I added to the post? 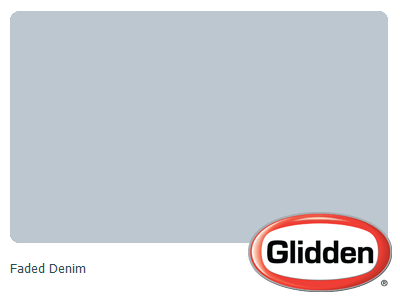 Glidden’s faded denim. Let me know what you think. I’m interested in knowing the brand of the mini subway tile backsplash in the kitchen. Anyone know who makes them? 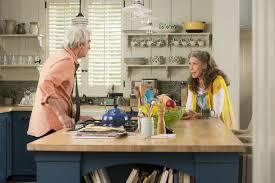 Do you know the fabric source for the roman shades in Robert + Sol’s kitchen? Let me take a closer look and circle back here if I find anything. Thanks for reading! Hi there, I love this show and everything in the beach house! Do you know where I can buy the inbuilt cooker in The beach house? I have a similar configuration in my own kitchen and went with Bosch wall ovens here: https://rstyle.me/+Aest7fTE8uQGZ8ENQPtjGg Hope this helps.